GMI reports once again on the current ongoings of contemporary jazz. Once again GMI brings you a Jazz Guitar Roundup of music news from the past month, keeping you up to date with whats been going on. The genre is proving to be as vibrant as ever with new albums from the likes of Michael Louis-Smith and festivals like the Winter Jazzfest in New York gracing the headlines. 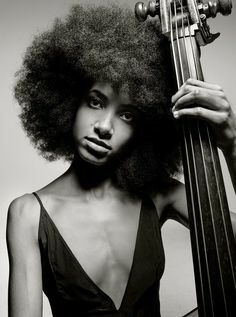 Check out these links to the hottest jazz news from the past month, then scroll below to see what Twitter had to say this month on the subject of jazz. Don’t forget to head over to our online lessons and How to Play series to take your guitar playing into the stratosphere! Ok, lets get on with GMI’s Jazz Guitar Roundup January 2018. John McLaughlin: What People Call Jazz These Days – That’s Not Jazz! “Jazz is supposed to take you to a different world, into the world of the players, with the intensity and the passion of it.” Mahavishnu Orchestra guitar legend John McLaughlin said he’s not a fan of what is considered jazz music these days, explaining to … John McLaughlin: What People Call Jazz These Days – That’s Not Jazz! Is Today’s Jazz Finally Outrunning the Past? The Popcast is hosted by Jon Caramanica, a pop music critic for The New York Times. It covers the latest in pop music criticism, trends and news. Last year was the centennial anniversary of the birth of several foundational jazz figures: Thelonious Monk … Is Today’s Jazz Finally Outrunning the Past? She’s appeared at Ronnie Scotts, London Jazz Festival, Cork Jazz Festival, and is joined for her Sheffield debut by Billy Adamson on guitar, Paul Baxter on bass, and Adam Osmianski on drums. ‘Startling debut from British singer-songwriter who sets her … Jazz at The Lescar, Sheffield, listings January – March 2018.